Stereotyping —try as we might, it is something we all do. These over-generalizations shape the way different groups of people are viewed and what is expected from them. These misrepresentations apply to skydivers too. When you are asked to picture a skydiver, what comes to mind? We bet it is the typical Point Break-esque vagabonds, daredevils, or rowdy men with something to prove. But as a group, we are much more diverse and defy expectations. 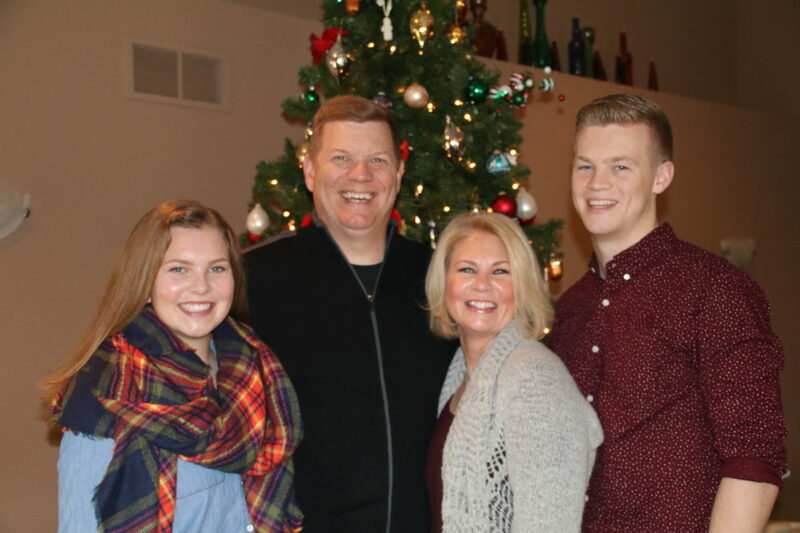 To prove it, we would like to introduce Kim Schuette: wife, mother, a woman of faith… and a skydiver! 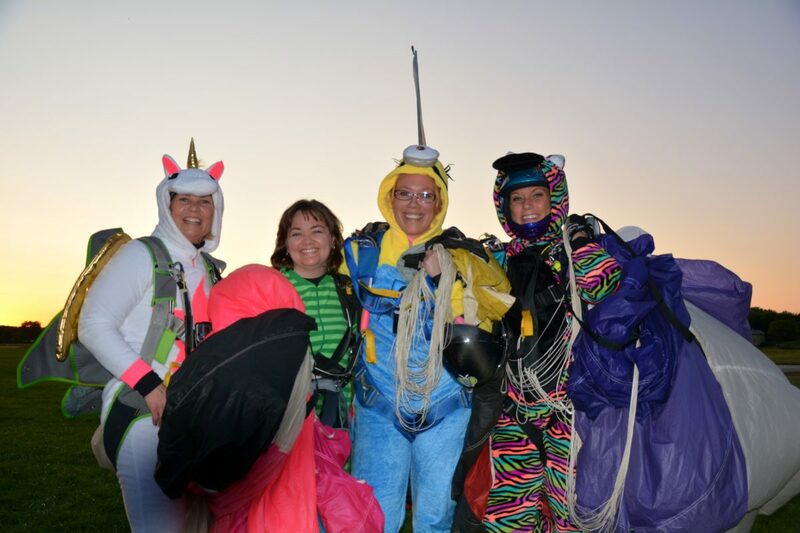 Kim isn’t what most people would imagine a “skydiver” to be, but she is a staple here at Wisconsin Skydiving Center. Kim currently has 659 jumps and strangely enough, she began skydiving after watching a movie with her husband that had surfing in it! She told him that she would like to learn to surf – but with the stipulation that it would have to be in Hawaii if she was going to do it. And that she would want to skydive too. Well, she was heard loud and clear and received a gift certificate for a tandem skydive for Mother’s Day that year. 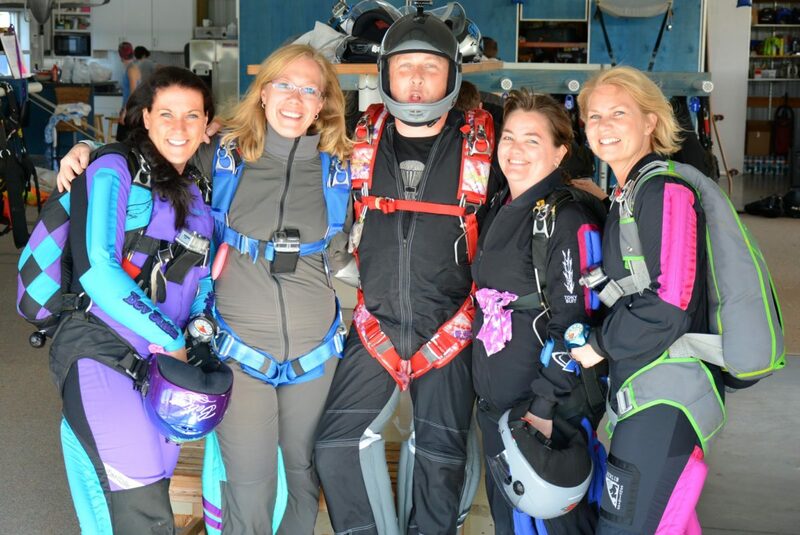 Notice we said “Mother’s Day”: when Kim made her first tandem jump her son was 9 and her daughter was 4. We were lucky to get Kim to join us at Wisconsin Skydiving Center, and it was only with a little bit of luck, good timing, and a positive reference that we managed to get her back in the air and to join our community. You see, Kim needed to have her reserve parachute packed, and Wisconsin Skydiving Center is where she was encouraged to go. 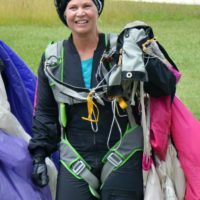 Skydiving is a great metaphor for life, and Kim’s story is a great reminder not only to defy expectation, but to be careful of creating, producing, and reinforcing imaginary confines. We encourage you to push past the imaginary boundaries you may have built and the comfort zones you have created with a tandem skydive at Wisconsin Skydiving Center.